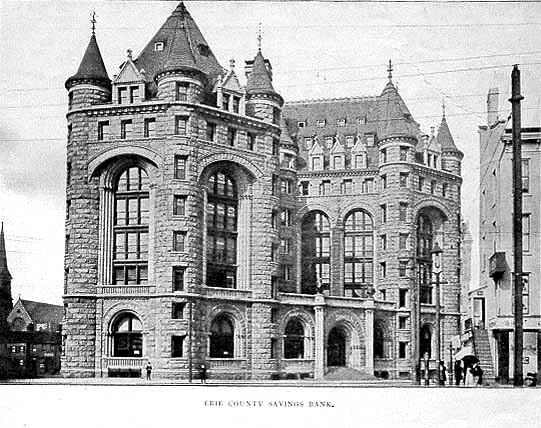 Shelton Square and Main Street where Erie Savings Bank was located. Mr. and Mrs. S. V. R. Watson. Mr. Watson was president of Buffalo's street railway in 1931. Mrs. Watson was remembered for the originality of her entertainments. Source: Photo from June 2, 1931 Times. 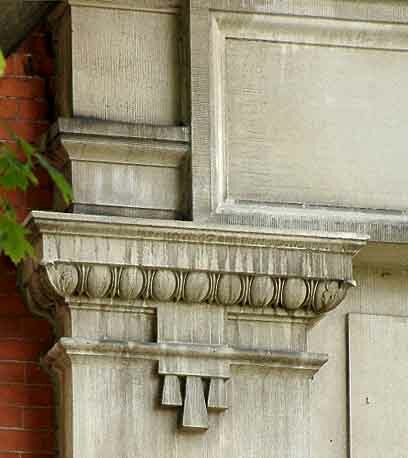 Front entrance on Delaware Ave.
Side entry on north side (right) of building. 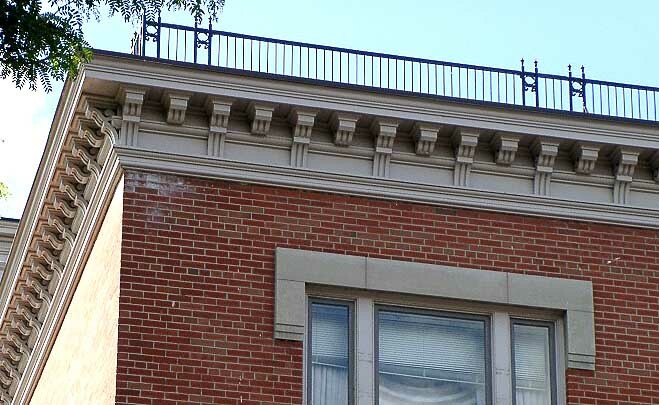 Note reddish color bricks on north side that are different from the more orange color in previous photos. Trinity Church possesses some of the finest stained glass in America. The five magnificent scenes in the apse and the rose window are by John LaFarge, who also did several others, along with Tiffany, in the nave and transept. Especially important is his so-called Watson Window over the altar in the north transept. 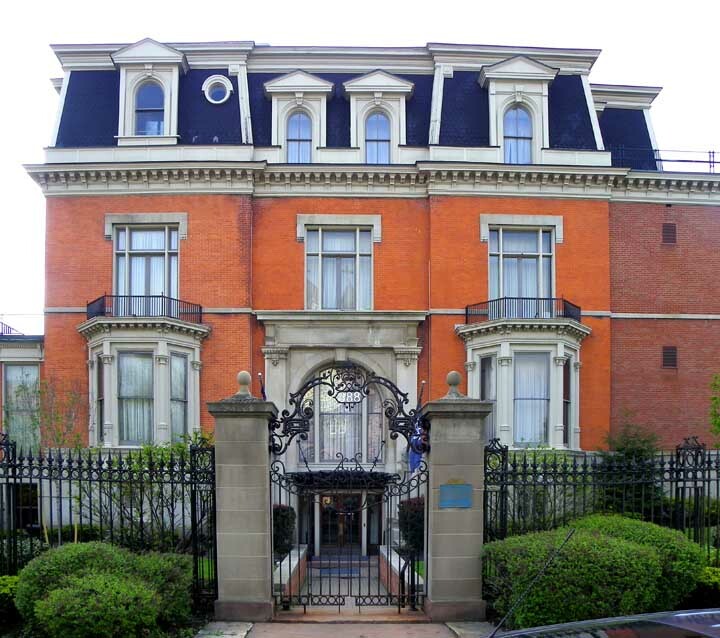 The client for the window was Stephen Van Rensselaer Watson - a founder of Erie Savings Bank, Manufacturers & Traders Trust Company, and Buffalo's street railway system - who lived across the street from Trinity in the commodious Second Empire house that is today the Buffalo Club. LaFarge required that Watson allow him to exhibit the window, before sending it to Buffalo, at the 1889 Exposition Universale in Paris, where, he hoped, it would establish his international reputation as a m,odern master of glass. Greatly impressed by the beauty and originality of the work, the French government awarded LaFarge the Legion of Honor, the highest honor bestowed upon a foreigner. Stephen Van Rensselaer Watson came to Buffalo from the Albany area in the 1840's. 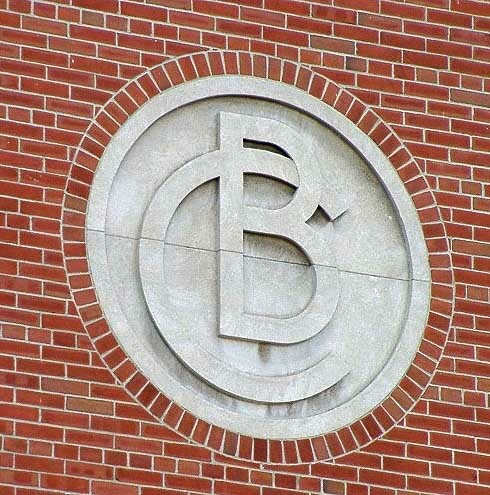 He was involved in real estate speculations on Buffalo's east side and Fruit Belt areas. He owned one of the largest and most prominent grain elevators on Buffalo's waterfront. 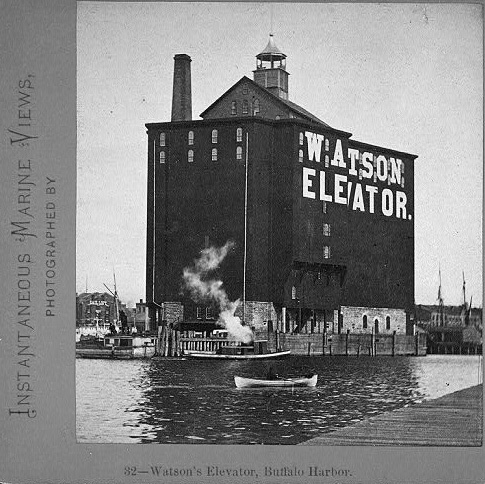 The Watson Elevator built in 1862 stood tall at the head of "Kelly Island" where the City Ship Canal joined the Buffalo River. It had a large lantern cupola on its peak that made it easy to identify as a landmark on the waterfront. Watson also owned lake steamships. 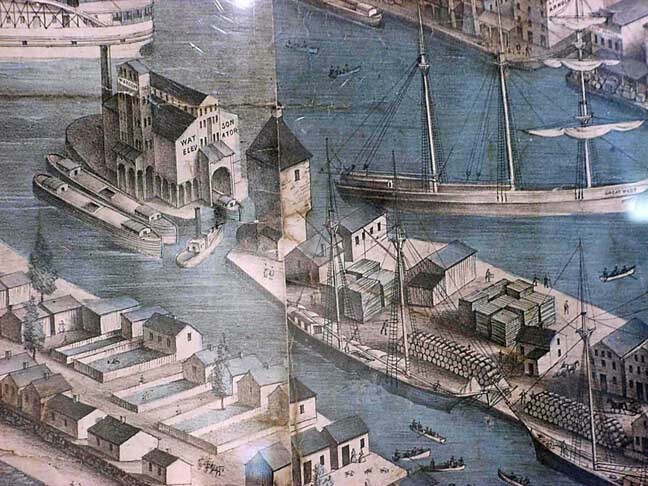 His most consuming business interest was the expansion and amalgamation of Buffalo's street railway system. 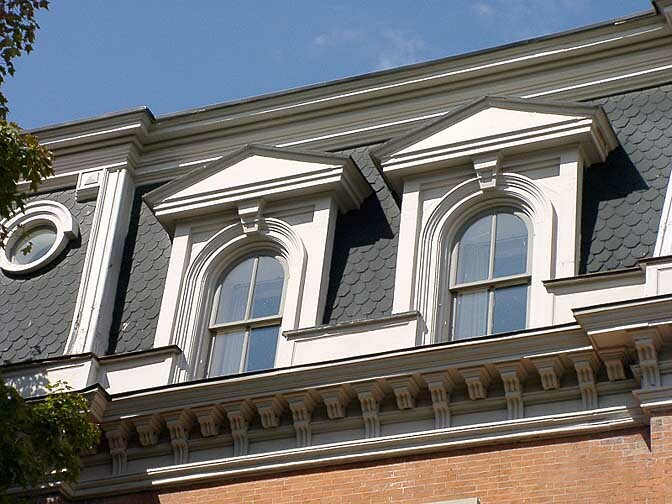 He built the house at 388 Delaware Avenue at what must have been the pinnacle of his success. Watson was completely "overextended" when the nationwide financial panic of 1873 set in. Elbridge Gerry Spaulding and Samuel Pratt were major financial supporters of Watson. Pratt died in his Swan Street home in 1872. Watson's home became the property of Pratt's widow, Mary Jane, in 1876. Perhaps Pratt's estate acquired the house in satisfaction of a debt. Between 1876 and his death in 1880, Watson lived in three different houses. In spite of his sharp reversal of fortune, Watson succeeded in satisfying all of his indebtedness. He always remained a highly esteemed member of the community and continued to be admired as a gentleman businessman who saw things on a grand scale. S.V.R. Watson was also a philanthropist who fostered the institution that became Buffalo's Public Library. 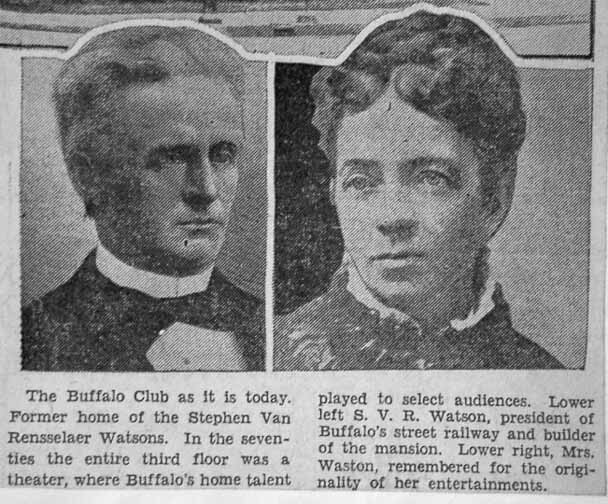 When ground was broken for the new Library Building in Lafayette Square in 1887 (the same year The Buffalo Club acquired the Watson Mansion), it was Stephen Watson's widow, Charlotte, who was afforded the privilege of turning the first spadeful of dirt. 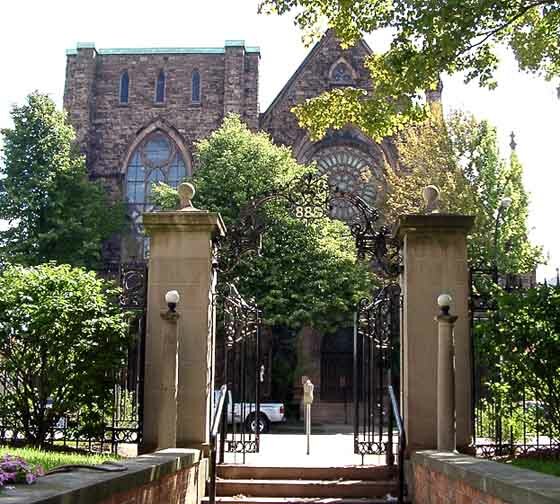 The Trinity Church, opposite The Buffalo Club, is significant, largely because of its art glass windows. Two of the John LaFarge windows were donated by Mrs. Watson. One representing "Resurrection" is in memory of the daughter killed in a train crash. The other, in a side chapel, is the famous "Sealing of the Twelve Tribes of Israel" exhibited with Mrs. Watson's permission in the Paris Exposition of 1889. For this work, the French government awarded LaFarge the insignia of the Legion of Honor, "the highest honor bestowed on a foreigner." 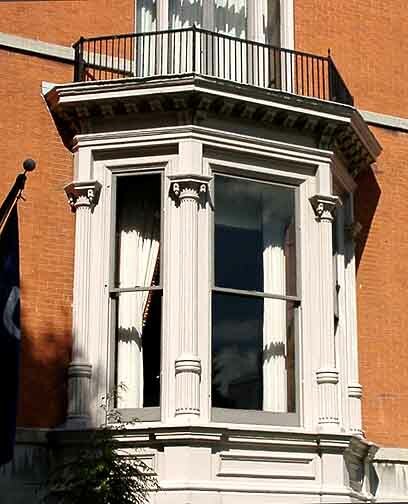 The French offered to pay handsomely to acquire the window, but Mrs. Watson insisted that it be installed in Trinity according to the original plan. 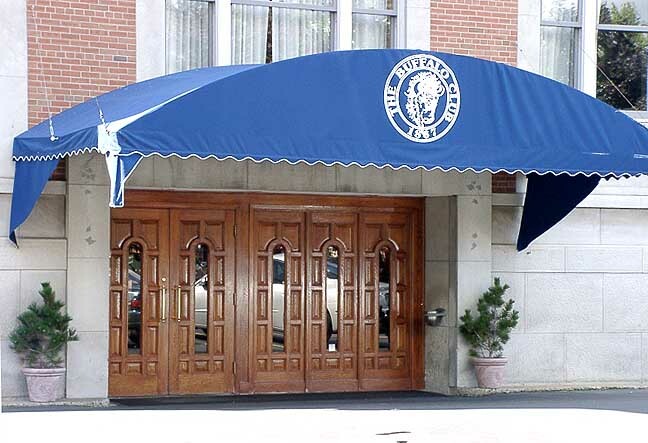 The Buffalo Club was founded on January 2, 1867, with Millard Fillmore as the club's first president, although William Dorsheimer chaired the committee that incorporated the club. 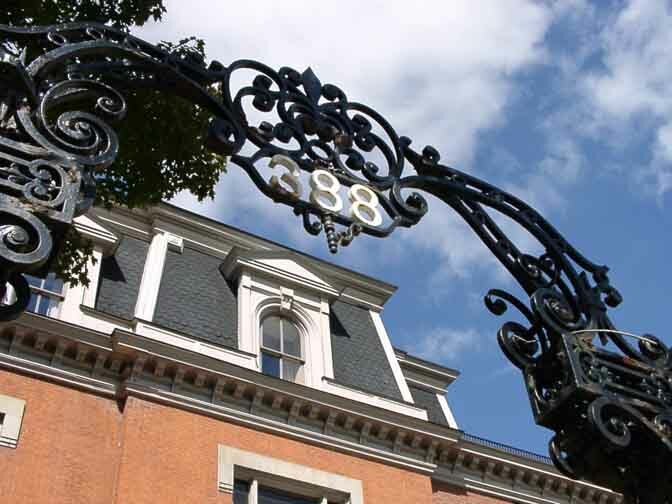 There were 93 founding members, including Stephen Van Rensselaer Watson. 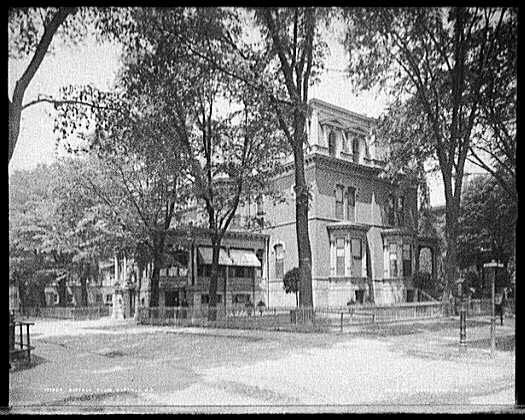 The club's first location was at the Movius House (PHOTO) at the northwest corner of Delaware Avenue and Cary Street in 1867. 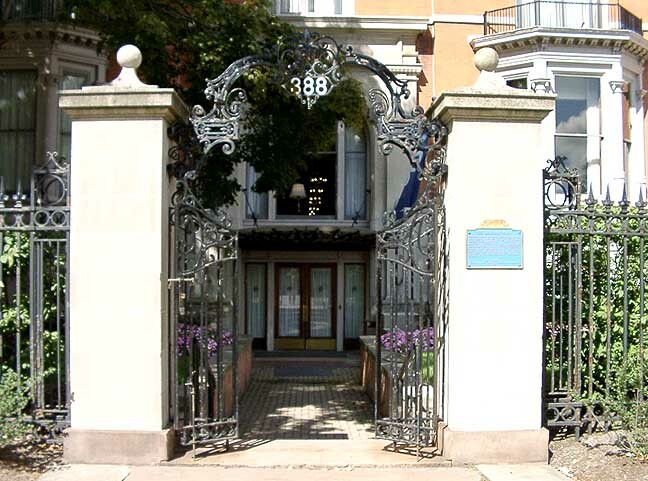 The club leased the house for three years while the Movius family was on an extended European vacation. 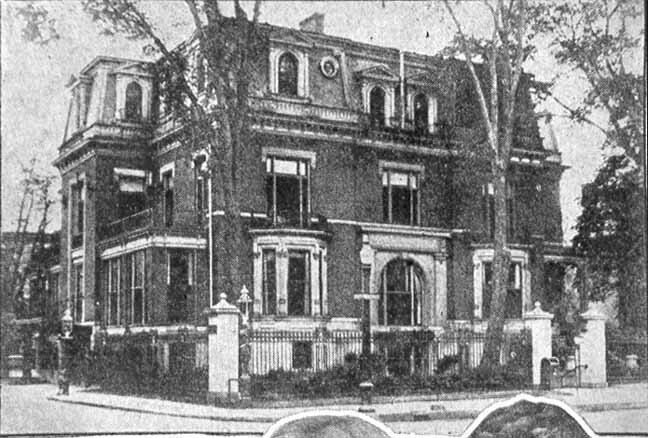 The club's next location was at the Ganson House at the northwest corner of Delaware Avenue and Chippewa Street. 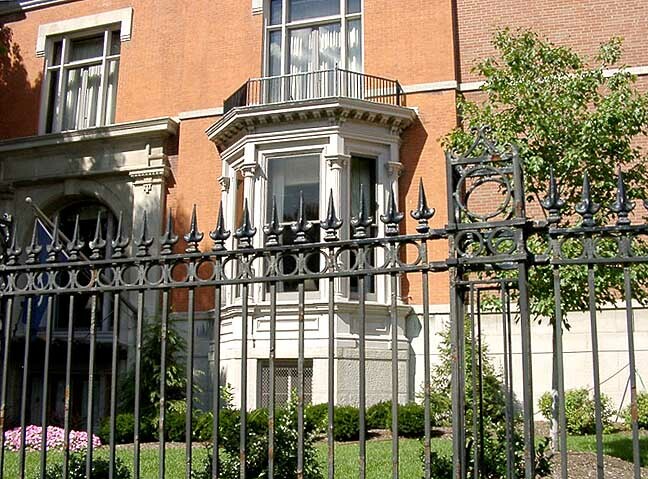 The club occupied that austere Greek Revival mansion for the next 17 years. 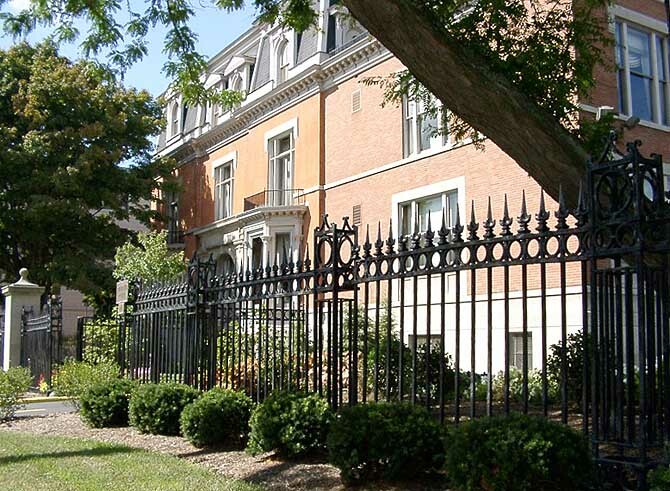 The club's first permanent home was a house built in 1835 by Philander Hodge, at a cost of $30,000 ($608,944 in 2002 dollars). In 1832, Hodge had become a business partner with Ebenezer Johnson, Buffalo's first mayor, also in 1832. 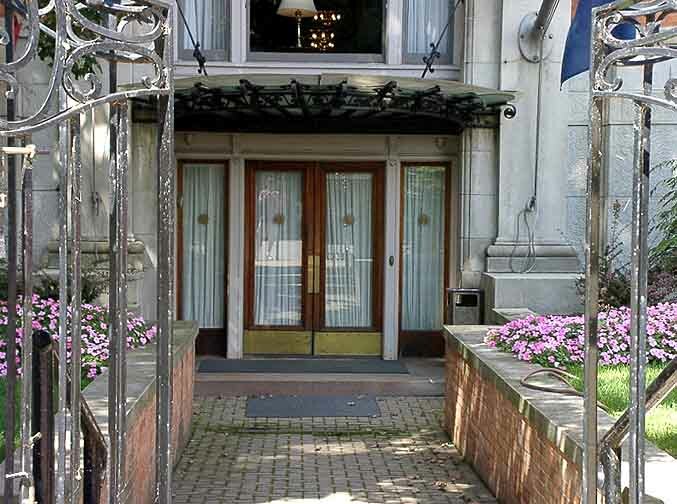 The lobby of the Buffalo Club was originally the reception hall of the Watson House. 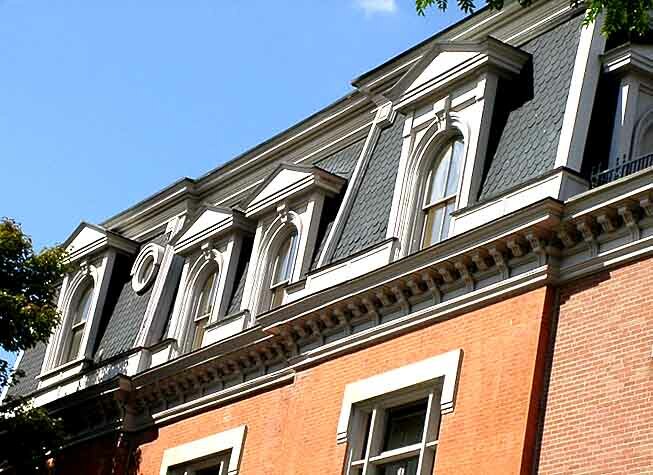 On the third floor was a ballroom-theater, capable of seating over 300 guests later named the Millard Fillmore Room). 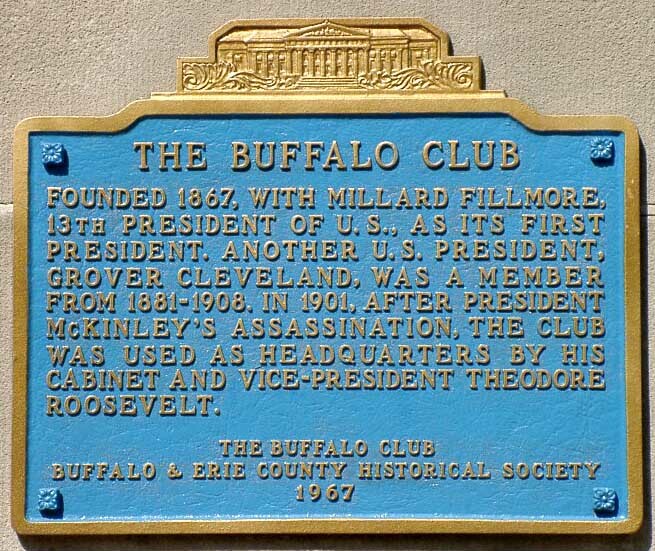 When President McKinley was assassinated at the Pan-American Exposition in 1901, the Buffalo Club invited McKinley's White House administration to make the club's commodious facilities its temporary headquarters during the President's terminal illness. Wilson Shannon Bissell. 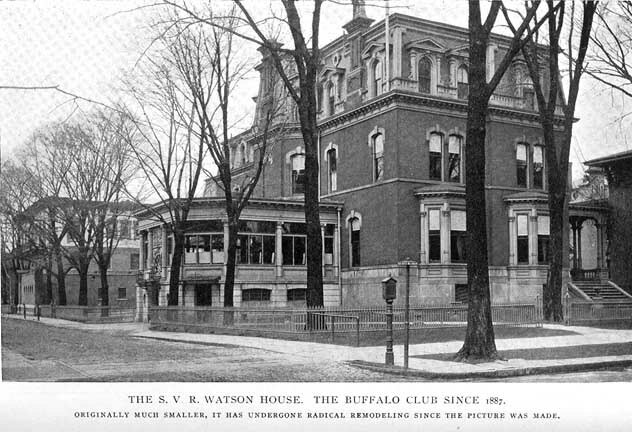 At the time The Buffalo Club moved into the Watson House, the other Second Empire style building on the block at 414 Delaware, the Sternberg House was the residence of Wilson Shannon Bissell, the new president of the Club. "Big Biss" was the longtime friend and law partner of Grover Cleveland. He served as"Big Steve's" postmaster general in Cleveland's second term. He was a Chancellor of the University of Buffalo and was, in the Watson tradition, a Trinity vestryman. 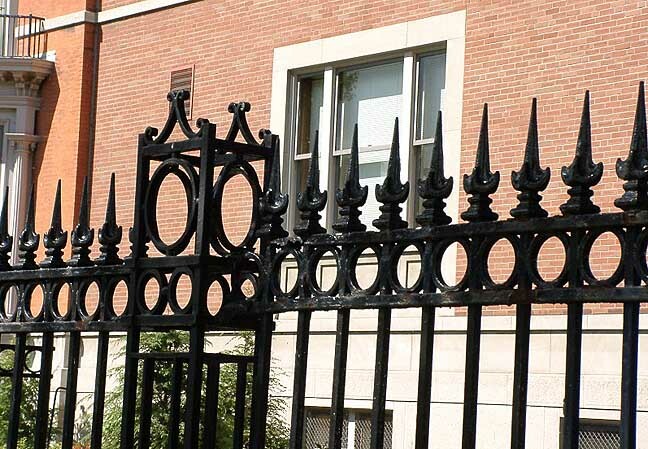 It is the only club of its kind to have had two U. S. presidents as members, Millard Fillmore and Grover Cleveland.